For instant news, the web is obviously where it's at, but there are many of us that are still bound to the physical connection of reading. 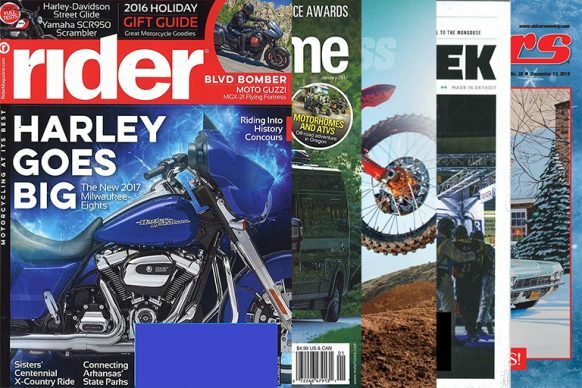 That in mind, we went on the hunt for interesting magazine options for the motorcycle, automotive, and RV enthusiast, all of which make an interesting (and affordable) gift this holiday season. Of all places, Amazon actually offers a good number of magazine subscriptions in all categories, and skimming through the list there are a handful of interesting titles to choose from. Coming in at between 67% and over 80% off of the cover price, these are the titles that caught our eye.